I can vouch for the presence of this car in the Google Paris offices. There’s also a cow sculpture outside, a shrine to wine and VERY good food. Macarons, pizza, Google wasabi peas – the whole shebang. If you follow me on Twitter, you may have noticed that I mentioned a little trip to Paris I had planned for this week. This was for the Google TechAbility 2013 programme, which certainly deserves a post of its own. TechAbility is an offshoot of EmployAbility, a scheme to get students with disabilities or dyslexia working with prestigious firms for internships, grad roles, events or work experience. And when you think of prestige in the business world, Google will probably come to mind. Yes – Google. EmployAbility has pretty good connections, right? I certainly wasn’t planning on turning down the opportunity to spend two days at Google Paris, and I’m glad I didn’t think twice before booking my flight. 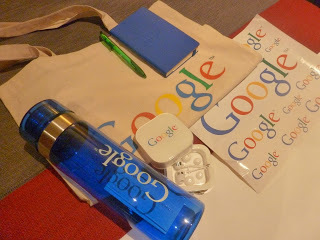 The event was superbly planned, and the work of EmployAbility’s Tab Ahmad and Google’s Clare Bass has been remarkable. As someone who is looking for ways to reduce the stigma surrounding disability, particularly mental health, their work seems incredible to me. On Wednesday, the main day of the event, fifty participants – each with a disability or dyslexia – gathered together in the Google Paris office to learn more about Google and its products (both new and existing), ‘grill a Googler’, get tailored CV and interview advice, and meet likeminded students. Having the opportunity to ask Google employees about their own job roles, work history and thoughts of Google is something I can’t underestimate. Also, the projects and achievements of the other participants, regardless of their disability, was nothing less than awe-inspiring. It wasn’t like “oh, what’s your disability then?” at any point, but rather there was an environment of acceptance and non-judgmental communication. I didn’t tell anyone except the EmployAbility team what disabilities I had, and I never felt pressured to. Both my physical disability and PTSD were considered throughout the application process and the event itself, which is, apart from the work of my wonderful university, unfortunately something I’m not used in the working world. 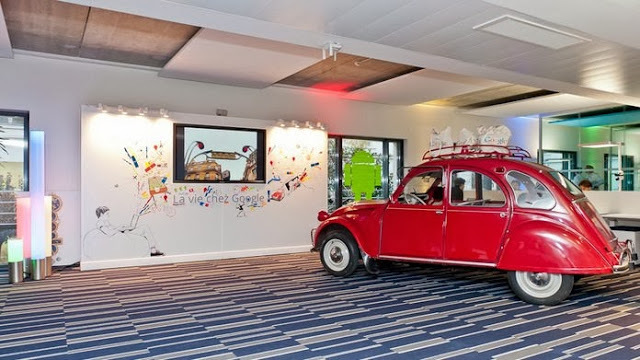 On the Thursday, as one of seventeen participants chosen to participate in the twelve-week Google TechAbility mentoring programme, I returned to Google Paris once more. We had an initial introduction to the mentoring programme before meeting our mentor for the first time, although as my mentor works for Google Wroclaw and couldn’t make the trip over, we made do with a one-hour conversation over Google Hangout. My good luck continues as my mentor seems to be so friendly and helpful, and I’m sure she’ll be of great help when it comes to developing Tolstoy Therapy – and associated ideas – further and making the most of my time working for a travel startup in Barcelona. Could a trip to Poland be in the pipeline? Perhaps! Also, by participating in the TechAbility programme, it should be made easier for me to apply for an internship or graduate role at Google. Let’s see how that goes! If you’re an undergraduate, postgrad or recent graduate with a disability or dyslexia, I couldn’t recommend more highly that you check out EmployAbility and the schemes they offer. They’re working so hard to break down the barriers that disabled students so often face, and it really is something that you can make the most of. If you’d like to ask me more about the application process or my experience so far with EmployAbility, TechAbility or Google, don’t hesitate to get in touch through my contact form. I’d definitely try to help you out with any questions or advice. N.B. This post also acts as a convenient start of my plans to use the blog to reduce mental health stigma. I’ll still be focusing on books – and particularly bibliotherapy – in many of my posts, but I think making use of the platform I’ve built here will be so much more effective than starting a separate website at this point. Keep an eye on the blog for more! BTW I LOVE your book! I'll write a detailed review on my blog soon! Sounds like a phenomenal, interesting and gratifying oppurtunity. It is also really nice to know that Google is so involved in something like this. Best of luck in pursing your endevours Lucy! It certainly was a great experience! Hopefully other big companies will follow the good work that Google is doing and create their own diversity programmes. Thanks Angeliki! It's taking a lot of courage but I'm definitely enjoying these opportunities and trying to make the most out of them 🙂 I'm meeting so many people in the process and learning so much too. I'll be sure to write about any developments on the blog! And I'm so glad you like the book!